Musical Keys is lucky to be supported by our many volunteers who donate their time to work with us across Norfolk. Volunteers are an essential part of what we do and we like to have a diverse group of volunteers involved in delivering our services. As a volunteer for Musical Keys, you’ll have the opportunity to make a real difference to your community. There are several things you could get involved in. If you have a musical background and/or have experience of working with young people with additional needs you might like to get involved in assisting delivery of one of our regular music groups. We also require office-based volunteers on an ad-hoc basis to help out with events organisation and general admin work. If you have fundraising or marketing experience we’d also be interested in hearing from you. All of our volunteers will be DBS checked and will undergo appropriate safeguarding training. We will reimburse travel expenses and will continue to support your personal development through training opportunities. If you are interested in volunteering please send your CV and a short cover letter telling us how you’d like to be involved to Oliver Payne, Programme Manager at oliver@musicalkeys.co.uk (to speed things up you can download and return our initial sign-up sheet here). We may not be able to find you a role straight away but will let you know that you’re on our waiting list. ‘‘I started with Musical Keys in May of last year and it is undoubtedly the best thing I have ever done. My name is Navena and I’ve been volunteering with Musical Keys for nearly a year. I’m a proud volunteer at the relentlessly lively and enjoyable Saturday group at the City College in Norwich. By trade, I’m a final year medical student at UEA who has always enjoyed being amongst and working with young people, as well as listening to and playing music. I trained in South Indian Classical violin and vocals from a young age, performed a lot during my teenage years but lost touch once I left home. Despite having less opportunity to take part in music, I’ve always considered it to be an affirming part of my life. Undoubtedly, the work of Musical Keys was a perfect fit for my interests. I started volunteering just as the Norwich (Saturday) group re-established itself. It’s been wonderful to see the number of young people attending our sessions increase over the last few months. I gain so much from the sessions myself (and not just the skills that myself and other volunteers have honed in speedily making hot drinks during our breaks!). I’ve been able to embed firm roots within the community here, which has no doubt influenced my choice to stay in Norwich once I finish my studies. I look forward to seeing how Musical Keys continues to make a difference. 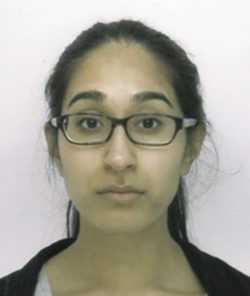 Navena has subsequently passed her degree, congratulations Navena! I’m Andy, I’ve been playing in bands since I was 16. The main instruments I play are guitar and mandolin. I’ve played in a lot of bands, at the moment I play in a couple of bands but mainly the Johnny Jump band. I also work with Good Pill, Bad Pill and do guitar set-ups and instrument repairs. I compose as well – last year I wrote the music for Dandifest: the movie. I’ve done a PETLS course & been involved with Access to Music in the past. I think Musical Keys is a great organisation to volunteer for. I’ve been helping with the ReTune project – it’s being run over 12 weeks and it’s about more than just turning up for the sessions; you get to know the service users and see how your input benefits them. Hi, my name is Helen. I first volunteered with Musical Keys back in the late 1990’s(!) whilst on a gap year before going to music college to study the flute. A few months ago an opportunity arose enabling me the time to volunteer for Musical Keys again. Its great to be part of the Musical Keys family once more and to see how much the charity has grown over the years. 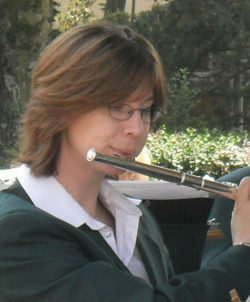 I have been playing the flute since I was 8 years old and have always played in concert bands and orchestras. I am a long standing member of the Norwich City Concert Band, and you can often find us playing in different bandstands around Norwich in the summer time, at the Lord Mayors Celebration weekend or outside John Lewis and Norwich train station at Christmas. Throughout my musical career I have had the privilege to play in some of the most historical and special civic occasions and ceremonies both in the UK and in Europe. The most recently being the plaque unveiling ceremony in Norwich commemorating local WW1 heroes. When not playing music my family takes up most of my time, and with one more baby on the way, it is only going to get more hectic! Its only been a couple of months, but volunteering for Musical Keys has been really inspirational. Seeing how much enjoyment the children get out of attending the groups and how they are growing in confidence week by week is really rewarding.